Dr. Heesoon Bai, Associate Professor, Faculty of Education, Simon Fraser University. In my presentation I address the question of how we may practice perception in such a way that we are able to see the world with more kindness, reverence, compassion, joy, and beauty. Perception is a phenomenon of emergence: what emerges from the meeting of the perceiver and the perceived. As such, perception is vitally dependent upon the perceiver’s state of consciousness. A lover’s gaze reveals a very different world from that revealed to an indifferent or an angry gaze. Thus, perception itself becomes an ethical responsibility and act. Hence, the ethics of aesthetics. In the ethics of aesthetics, then, we would need to practice creating living conditions of perception that support our seeing the world to be compassionate, joyful, etc. My work in this area concerns nourishing our somatic being so that our perception is animated and inviting. In my presentation, I will introduce two sources of somatic-perceptual nourishment that I have been experimenting with: the Daoist work of “turning the light around” and Applebaum’s work of the Stop. Both practices involve ‘reversing’ the flow of energetics involved in perception. Ordinary perception is a case of energy dissipation. We lose vital energy through perception, and the result is that the world revealed through our senses may be cold, indifferent, humdrum or dreaded: in short, disenchanted, if not dead. In contrast, aesthetic perception does not ‘leak’ energy. It may both gather the energy in the presence of that which is perceived and replenish the perception with organic energy of the body. My presentation will include both a theoretical exploration and a perceptual experiment in the ethics of aesthetics through contemplative practice. 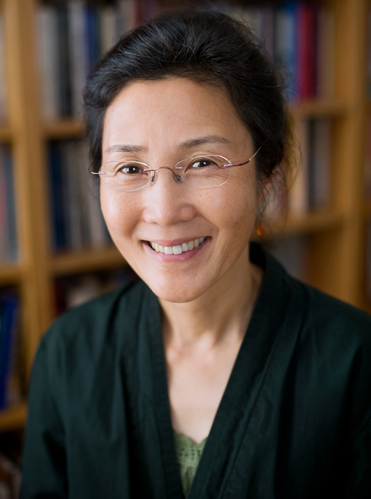 Dr. Bai’s current research interests center around examining and deconstructing ontological and epistemological assumptions behind our cultural practices, including ethics and aesthetics. She calls for reanimation of our selves in all spheres of our being in order to perceive and live in the world ethically and aesthetically. Through contemplative inquiry and practices, such as Zen, she offers experimental ways to replenish our being and animate our senses and vital energy. Bai is a past recipient of the Simon Fraser University Excellence in Teaching Award, the Roger Hamill’s Environmental Educator’s Award, and the Canadian Society for the Studies in Education Mentorship Award. Her co-edited and co-authored books include: Fields of Green: Restorying Culture, Environment, Education (2009); Speaking of Teaching: Inclinations, Inspirations, and Innerworkings (2012); Speaking of Learning (forthcoming in 2014, Sense Publishers); and Contemplative Learning and Inquiry Across Disciplines (forthcoming in 2014, SUNY).